Since 1995, the company “Santorinios Sewage Transfers” in Mykonos has been leading the way in the areas of sewage removal and transportation, water abstraction, obstruction and cesspool discharges. Today, after decades of experience in wastewater management, “Santorinios Sewage Transfers” is the most reliable wastewater transportation company in Mykonos. In particular, our company offers integrated solutions for the pumping and transport of sewage and fluids and deals with pumping of rainwater and dirty water, caused by floods, clogged drains and leaks, serving private and business premises as well as basements. 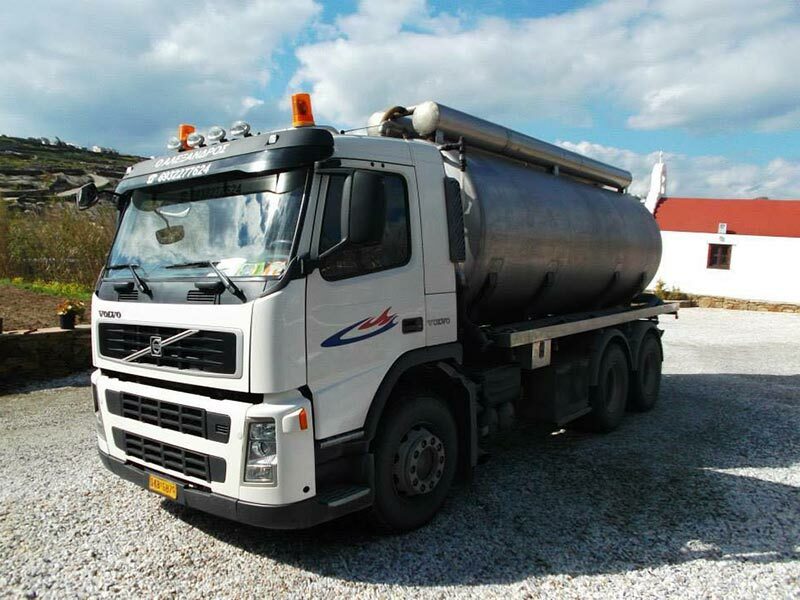 In addition, whether you want to empty a tank directly or if you need long-term waste management services, “Santorinian Sewage Transfers” will ensure that your work is done in an efficient, safe and timely manner. Our experienced staff is equipped with modern equipment and can carry out with complete precision and professionalism any assignment assigned, consistently and professionally. The state-of-the-art fleet of vehicles consists of 5 different sized tankers, obstruction machines, suction pumps and high pressure water pumps that are suitable for all occasions and have a capacity of 13 to 25 cubic meters. The company “Santorinios Sewage Transfers” offers complete services, aiming at immediate and better service. Our experienced staff takes action 24 hours a day, with professionalism and consistency, at the best prices on the market.